That photo was taken by him near the pond. There is no image editing, there, and that cannot possibly be a glare or reflection. It could just be the fog, but if that were the case, there would be a lot more fog, and I have never seen fog in a figure such as that. 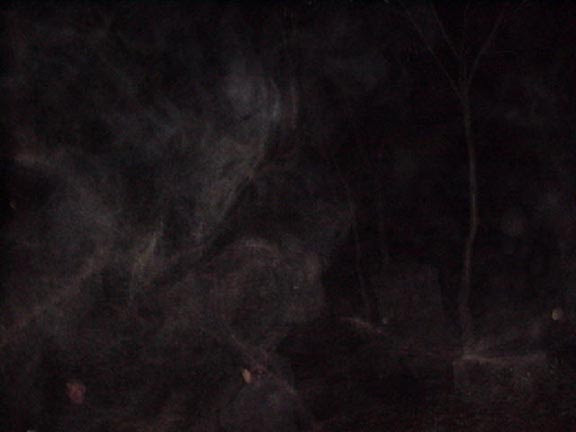 There is also a little orb in the bottom right corner of the photo, along with some other sort of figure.